The IRS is currently operating with 12.5% of it's workforce. BAKERSFIELD, Calif. — The Internal Revenue Service (IRS) is operating on 12.5% of it's workforce during the partial government and that could impact tax season. According to the IRS contingency plan, only 9,946 of it's 80,000 employees work during a shutdown. That means it could take longer to receive your tax refund. 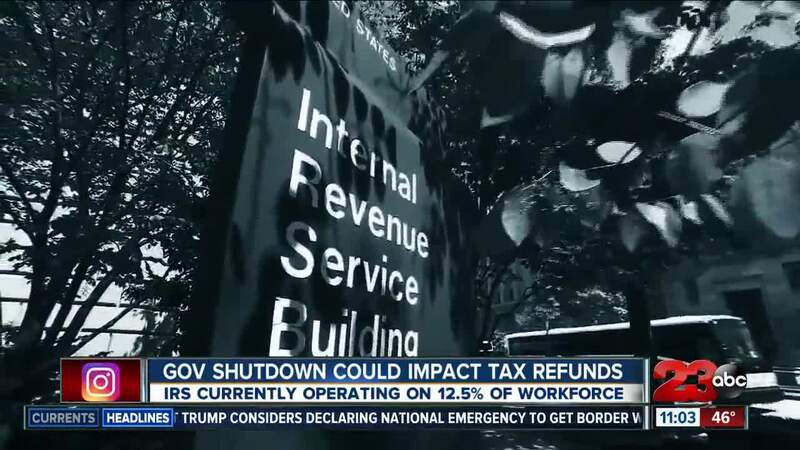 “If we owe the IRS money they expect to get that on time as they normally would, but if they’re giving us refunds that may be delayed until the government gets this shutdown over with," said CPA and financial planner John Duffield. Receiving W-2s and other tax forms will not be impacted by the shutdown. Consumers are still expected to file by the April 15th deadline.